This weekend Team Penske achieved one of the biggest comebacks in motorsports history. First of all you have a top driver (Helio Castroneves) who was suffering a near 30 race drought without a win. Then, the week before the next race the team suffers a trailer fire which destroys more than half their equipment and the primary race cars for both of the team’s drivers. However in a miracle that only Team Penske could pull off, they shipped in new equipment, buttoned up both back up cars to track spec, and then Helio Castroneves put his car on the pole. If that weren’t already miraculous enough he was also able to fend off points leader Scott Dixon and contender Tony Kanan to take his first win in 30 races. Not only did this put an end to his frustrating drought but it also tightens up the points battle. 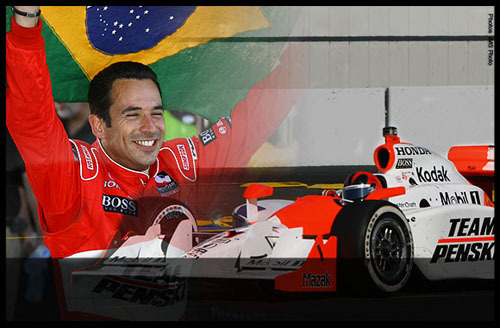 Now only 43 points seperate Castroneves and Dixon with six races left to go in the season. Check out Indy Car’s post race report.